I know this is a very sensitive issue for some folks. And I know there's some irony as I write this I have some jelly beans at my side. In this article, I hope to answer some of the unasked questions that pilots have when it comes to weight. Obesity is responsible for 300,000 US deaths annually and that's more than the number of smoker deaths. This is clearly the #1 public health problem in the USA. Obesity adds costs of 300 billion dollars to our health care system. One third of the US population is obese. If you think the problem is only in the USA, then you would be surprised to learn that the World Health Organization has declared obesity as a world wide epidemic. We get certain types cancers by being fat -- Almost half of breast cancer cases are diagnosed among obese women; an estimated 42 percent of colon cancer cases are diagnosed among obese individuals. Our US Government Centers for Disease Control offers the following table to help you determine what category you fit in. If you want to avoid medical problems that will ultimately lead to the revocation of your medical clearance to fly, you clearly need to avoide the Obese category as described above. If you're looking for a career in aviation, you're on a hard road if you are in the obese category. Customers pay for the carrying capability of an aircraft. The lighter the pilot, the more the aircraft can handle. That leads to automatic discrimination against folks who fit in the overweight and obese categories. If you're looking to fly helicopters, just forget it if you're obese. 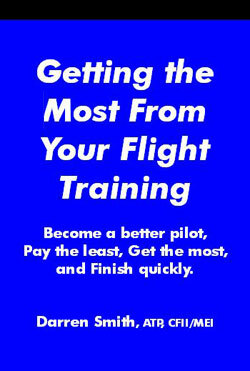 And even if you want to fly airplanes, forget learning how to fly inexpensively. You'll need the larger aircraft to learn in and pleasure fly. For some of you, this isn't a pleasant topic. Trust me, I've been there and understand it completely. Its just the way things are: put down the jelly beans or forget flying. Comments = Although I think BMI is a good rule of thumb for most people, I think you should point out that it is pretty inaccurate for tall people or short people (it tries to relate body mass to body surface area, but body surface area is not really a function of the square of height, unless you're a sphere), or muscular people (since mass only doesn't differentiate between fat and muscle mass). Comments = One of the things that I have tried that works better than some is to walk the length of the runway for exercise(my home field is uncontrolled and I walk in the grass off to the side). I get a two-fer: exercise and an aviation fix at the same time. Anyone else have tips that work for them?